Wow... is there too much going on or what?!? 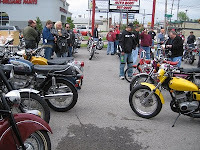 First off we wanted to let everybody know Brookside Motorcycle Company will have their Spring vintage bike show this Sunday, April 29th. Head over between 11 am to 3 pm and enjoy free barbecue! Come out and say hey and look for me and Brad- we might even have some cool swag for you! Also, our good friends at the Rock Cafe in Stroud are inviting everyone to ride up and play TV star this Sunday. They're filming a scene for an upcoming television series about Route 66 and the Rock Cafe. So if you're not enjoying vintage bikes and barbecue at Brookside, run up to Stroud and play Hollywood! And those are not the only awesome motorcycle happening this weekend. 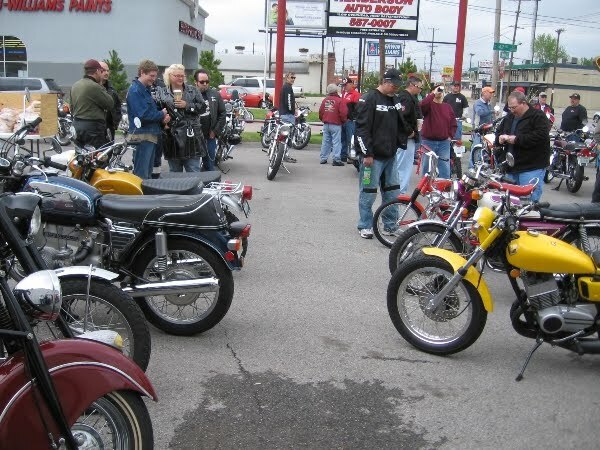 For a list of events in and around Oklahoma be sure to check out our free motorcycle events calendar. maybe I could bring the widea there we could sure use some barbecue!